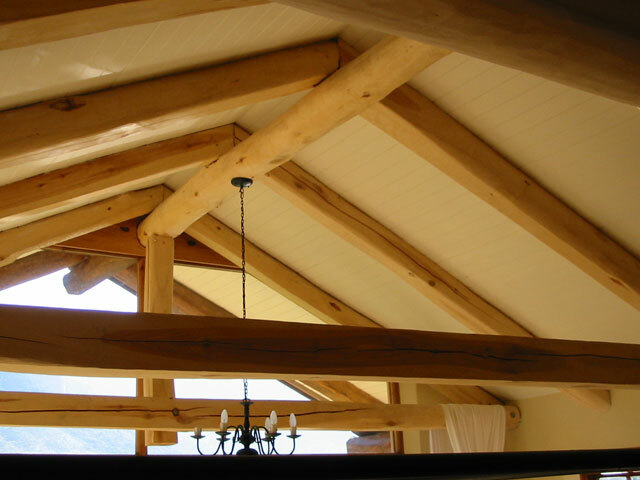 For the purpose of this installation: a rafter is defined as a simply supported timber beam with its ends prevented from lateral movement and torsional rotation about its longitudinal axis. 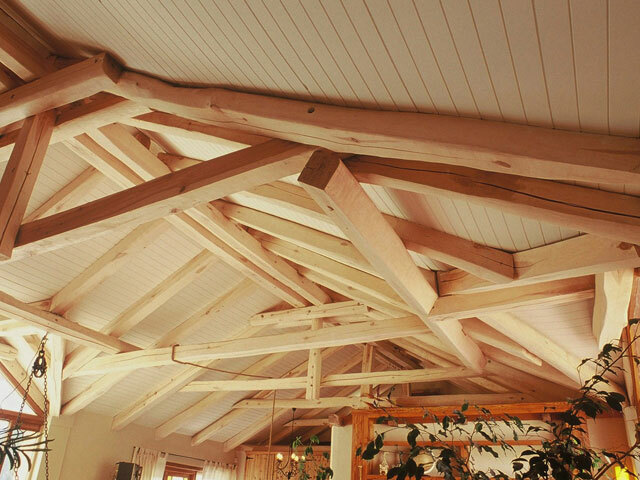 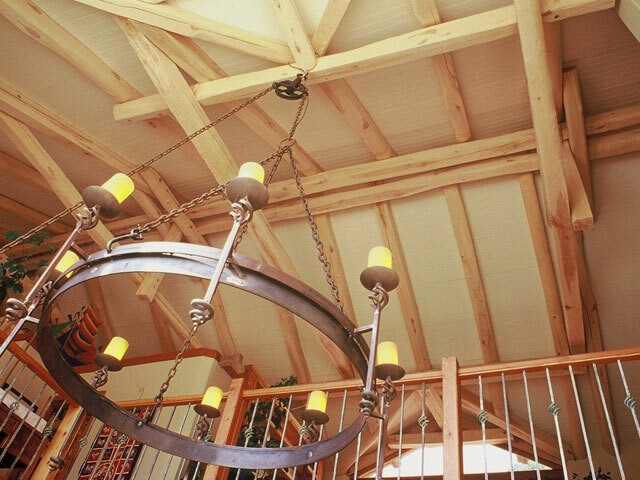 One of the most cost-effective insulated ceilings is to install IsoBoard as a roof-liner over trusses, beams and rafters. 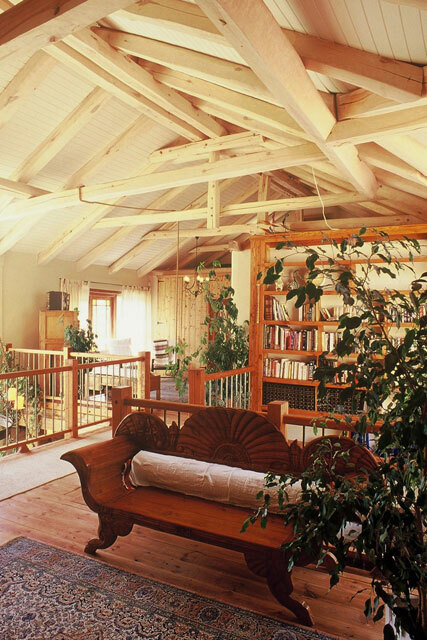 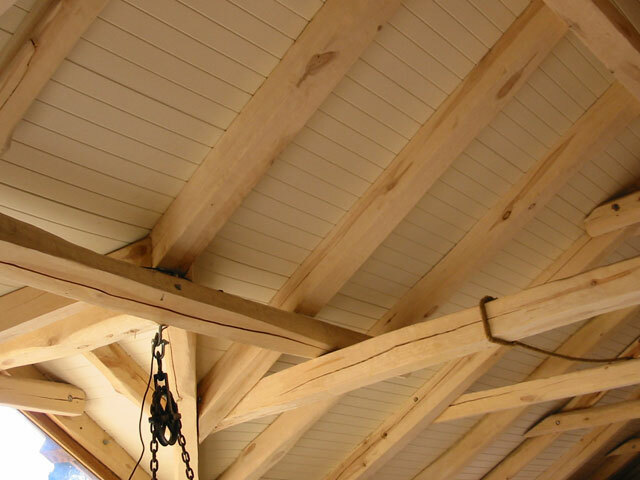 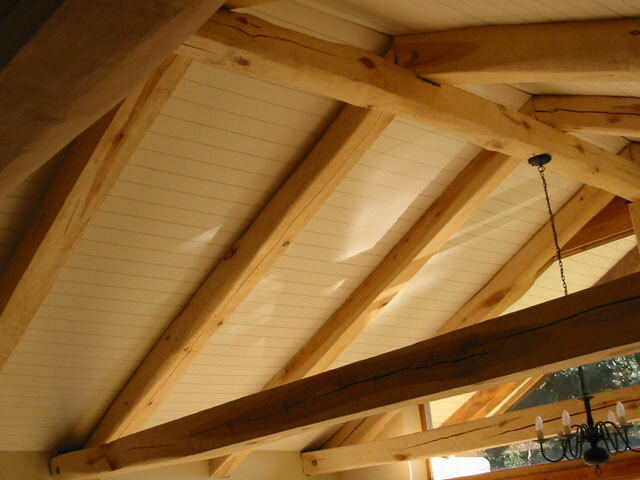 The board, in addition to providing high levels of thermal insulation, provides a beautiful backdrop to exposed trusses, and can be painted to match as required. 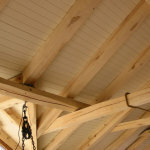 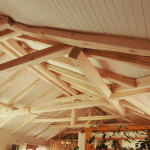 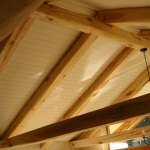 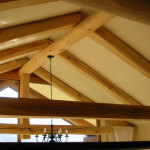 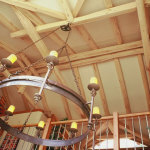 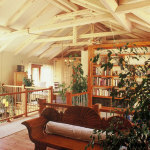 Used as a ceiling in domestic homes (affordable and up-market) over exposed rafters.